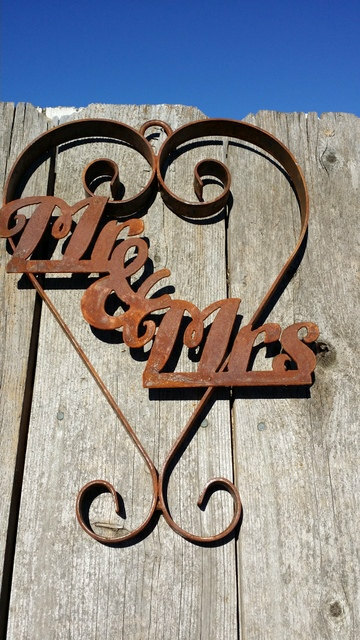 This is a Rusted Rustic Mr. and Mrs. Wall Hanging made out of metal. It measures 17" x 12 1/2" approx. at its tallest and widest points. This sign has been rusted. Can be hung indoors or outdoors.